Below are the most frequently asked questions about A Better Living Home Care Agency. If you have any other questions that are not answered here, please do not hesitate to call us. What’s The First Step To Acquiring Home Care Services? The first step is to call, and we can begin learning about your needs and preferences. Then we can meet with you, at a location of your choice to, further assess and define client and family needs and preferences at no charge. You can begin right now by calling us, or contact us online. We’ll set up a free in home consultation. For your convenience, our knowledgeable staff will even arrange for home care over the phone. Contact us today, and we’ll arrange for an experienced, qualified, highly compatible caregiver immediately. Do You Provide A Free In Home Care Needs And Preferences Assessment? Absolutely. We will meet with you and your family in your home or at a hospital/skilled nursing facility to identify, assess, and discuss your needs and preferences. This meeting helps us identify the skills required and characteristics that you would highly value in a caregiver. This information enables us to provide you with a caregiver that is highly compatible with you and your family. Occasionally, individuals needing care, or their family members, have learned of our reputation and need to arrange for services over the phone without the free in-home assessment. In those cases, we are happy to gather the information over the telephone and base our provider choice on the information gathered by our knowledgeable care coordinators. Either way, compatibility is guaranteed! When Is A Caregiver Needed? Does your elder have one or more of these “Red Alerts” indicating they might need in-home care? What if the elder is physically healthy, but has some cognitive impairment? That is a difficult dilemma that many families face. If their cognitive impairment could cause them to endanger themselves, or others a caregiver is definitely needed, even if they are healthy otherwise. Even long term care insurance companies realize this and a cognitively impaired individual is eligible for benefits, even if they require no physical assistance. Cognitive Impairment If an individual has dementia, memory impairment, or is disoriented to the degree that they pose a risk to themselves or others, they need in home care assistance. When a spouse, family, or friend is unable to be onsite, they need the assistance of an in home caregiver. Many families have trouble believing their loved one needs assistance if the cognitive impairment appears to be mild, and they are otherwise in excellent physical condition. Cognitive impairment is a serious condition and often leads to: malnutrition; dehydration can occur quickly with devastating effects; medication overdoses or not taking vital medications; infections form poor hygiene; unreported changes in health status, among others. If there is an emergency, such as a fire or if they fell and would they know what to do? Ask them, you might be surprised by their response. Physical Disablities Many people function for years with physical disabilities. When they no longer can perform a basic “Activity of Daily Living” and their spouse, family, or friends are unable to assist in their performance, then an in home caregiver is needed. Basic Activities of Daily Living include: bathing, dressing, hygiene, using the toilet, feeding oneself, ambulation (walking), or wheelchair transfers. Of course there are many other activities that one may require assistance with when living at home even if the basic Activities of Daily Living can be performed, such as: grocery shopping, meal preparation, self administration of medication, housekeeping, driving or arranging transportation, home maintenance, caring for pets, and using the telephone to name a few. Emotional and Social Well-being Once home-bound, individuals with diminished physical and/or mental capacity may cease interacting with their friends and social groups, and can become isolated. Caregivers can be a great source of emotional and social support. They can accompany clients shopping, to church, to social functions, play games, and stimulate their thinking. Sometimes a caregiver can just be there to listen to the rich and interesting stories of their client’s lives and share their experiences. Who Can Benefit From Home Care Services? A Caregiver is a person who provides personal care assistance to individuals who cannot perform them without assistance or significant effort. They assist with activities of daily living and instrumental activities of daily living, as well as providing comforting companionship, health and safety monitoring. Certified Nurse Assistant’s (CNA’s) and Certified Home Health Aides (CHHA’s) – Have received training in accordance with state requirements, and have been background checked and certified by the state. They provide the hands on care in hospitals, skilled nursing facilities, and for medical home healthcare agencies. Typically they choose to work in the home with clients, rather than a facility because they prefer to form lasting relationships and focus on enhancing each client’s quality of life over the long term. Personal Care Attendants – Usually received some formal training, may be first aid trained/certified, and are experienced at providing non-medical in-home care. Their focus is hands on personal care, wheelchair and walker assistance, medication assistance, meals, continence care, transportation, housekeeping, laundry, companionship, transportation, shopping and errands. Companion Homemaker Caregivers- May have some formal training, and first aid trained/certification, their focus is on the instrumental activities of daily living. Meal preparation, housekeeping, laundry, errands, ambulation assistance, standby assistance with bathing and dressing, transportation, shopping, errands, household management, and of course companionship. Do I Need A “Nurse” To Provide In-Home Care? Very few individuals actually have a need for a “Nurse” when they looking for in-home care and assistance. A nurse is needed only when there are medical services to be provided. A nurse may be either a Registered Nurse (RN), or a Licensed Vocational Nurse (LVN) and provides medical services under the direction of a physician. Should a nurse be required and non-medical home care is needed, a caregiver is obtained from a non-medical home care agency, and nursing services may be obtained through a medical home healthcare agency or hospice care agency. Nursing services may be paid by health insurance, or Medicare, however they do not cover the cost of a nurse providing non-medical care. What Training Do The Caregivers Have? We have a large caregiver provider registry with hundreds of caregivers who have a variety of skills, training and experience. Many of our caregivers are certified nursing assistants, or certified home health aides with extensive training and experience in acute environments. Others are personal care attendants, and companion/homemakers with significant caregiving experience and training to care for seniors living with the effects of Alzheimer’s, dementia, strokes, Parkinson’s disease, MS, cancer, end-of-life care, heart disease, cardiovascular disease, and many more conditions. Please see “What is a Caregiver” on this page for more information. How Do You Match Caregivers To A Client’s Unique Needs? We start the process when we receive a call about our services. Our knowledgeable staff begins gathering information and determining each client’s needs and preferences immediately on the telephone. Then, we’ll arrange an assessment, which is an onsite meeting where we get to know each client and continue to gather information to further clarify the needs and preferences. Using that information, we’ll identify a highly compatible caregiver based on their experience, skills, personality, and location from our large professional caregiver provider panel. Of course, we back our caregiver selection with our Compatibility Guarantee. If you don’t feel our caregiver selection is satisfactory, upon your request, we’ll provide another caregiver within 48 hours. Can We Interview Caregivers Before They Start? We are happy to arrange personal, or telephone interviews as is most practical, depending on the client, the timeframe, and caregiver availability. If you want to interview several caregivers, we’ll arrange it and you can decide who is the best fit. Often our clients need caregiver services around the clock. Sometimes they need assistance at night or just feel safer knowing someone is there ready to help in an emergency. Live In care is just like it sounds. A caregiver is provided a private room and board by the client, and lives in the home with the client on the days they work. They sleep at night, and are available to help as needed. Generally, a Live-In caregiver should be able to get at least 5 hours of uninterrupted sleep, and works 8 hours intermittently throughout the day, taking breaks as they require. Fees for Live Ins are usually a flat fee per day (per diem), rather than by the hour. Ultimately, you and the caregiver determine the exact role and responsibilities. What If I Only Need Someone A Few Hours? That’s no problem. There is no minimum number of days per week, or month required, and we provide caregivers for as little as 2 hours per visit up to 24 hours, or on a Live-In basis. Once a caregiver is provided, you and the caregiver may establish a schedule that best meets your needs, even if it is less than 2 hours. Our goal is to establish long term, highly compatible care relationships between clients, their families and their caregivers. A key ingredient to developing a successful caregiving relationship is consistency. Once we provide a caregiver she/he is your caregiver and only you and the caregiver may terminate the relationship. Of course, if a caregiver is ill or otherwise unable to provide services, we are happy to arrange a temporary, or permanent replacement. Am I Free to Set My Own Schedule for Caregivers? Absolutely. We do not dictate care schedules, and encourage clients and their families to develop a schedule that fits their need for in-home assistance within their available resources. Clients and their families are free to develop a schedule that best meets their needs with caregivers. How Important is a Consistent Caregiver Schedule? To develop a deep, rewarding care relationship, and avoid turnover; a care schedule that is consistent fosters a long term caring relationship. Keep your expectations reasonable, and try avoid situations that increase the possibility of turnover, such as canceling at the last minute, frequently changing the schedule, and unreasonable schedules like seven days a week without ever granting a day off. What If I’d Like A Different Caregiver Or To Change Caregivers? If you ever need a temporary or permanent replacement for a caregiver, we’ll be happy to provide another caregiver to you. We understand that sometimes things change, or occasionally it might not be the best fit. We’ll talk to you about your changing needs and preferences, and provide a new caregiver within 2 business days. That is our Caregiver Compatibility Guarantee. Professionally screened in-home caregivers: CNA’s, CHHA’s, Personal Care Attendants, and Companion Homemakers matched to each client’s unique needs and preferences. The caregivers we provide are thoroughly screened, experienced, and care for individuals over the entire spectrum of care, from companion care through total acute in home care. A free on sight needs and preferences assessment either at home or in a care facility such as a hospital or nursing home prior to discharge. Free registered nurse assessments are available when needed for Long Term Care Insurance, or acute care patients. Temporary or permanent caregiver replacements if a caregiver is unable to fulfill their commitment, or a client and/or caregiver terminates their relationship. Information on elder care issues and knowledge of local resources. Provide knowledgeable assistance with Long Term Care Insurance benefit applications, and we are happy to directly bill insurers. If your need is urgent we’ll even arrange for a caregiver over the phone and in most instances will provide a qualified caregiver the same day. Cognitively Impaired, but Physically Healthy – Do they Need In-Home Care? Cognitive Impairment If an individual has dementia, memory impairment, or is disoriented to the degree that they pose a risk to themselves or others, they need in home care assistance. When a spouse, family, or friend is unable to be onsite, they need the assistance of an in home caregiver. Many families have trouble believing their loved one needs assistance if the cognitive impairment appears to be mild, and they are otherwise in excellent physical condition. Cognitive impairment often leads to: malnutrition; dehydration can occur quickly with devastating effects; medication overdoses or not taking vital medications; infections form poor hygiene; unreported changes in health status. If there is an emergency, such as a fire or a fall would they know what to do? What Is The Screening Process For Caregivers Joining Your Caregiver Registry Provider Panel? Screened over the telephone based on their experience, training, certifications and professionalism. If they pass the initial telephone screening they are invited for a personal interview, where a thorough assessment of their qualifications, work experience, reliability, professional references and credentials is made. We cannot emphasize enough that they must also be positive, caring, friendly people that we would be proud to have join caregiver community. Finally, we verify each prospective caregiver’s professional references, and run background checks including; a 7 year criminal history search, driving history, and a social security number verification. Once they successfully pass our screening, they are invited to join our community of care providers, and may be provided to clients. If I Want to Cancel Your Service, How Much Notice to You Require? Am I Locked In? We ask that you simply provide us two business days notice to cancel our services and that you inform your caregiver. We understand that needs can change quickly; if a family member or friend steps in to provide care, we are happy to provide them relief or supplemental caregivers as needed. We are very flexible and happy to accommodate your home care needs, so if you are considering cancelling please call us and we can provide you with another caregiver more suited to your needs. Our interest is developing a positive long term relationship, and we refuse to breach our ethics with gimmicks that force clients to keep our agency beyond when we are needed. Our service speaks for itself. Beware Some agencies use an unethical contracting practice that preys on the elderly. These agencies require a large deposit and long notice period (two to four weeks) to cancel or even reduce service. If they do not receive the notice, they keep the deposit and bill for any unpaid services. This is a gimmick to discourage dissatisfied clients from seeking assistance from other agencies. Will Medicare, Health Insurance, HMO, or VA Benefits Pay for In Home Care? Unfortunately, HMOs, health insurance policies, and Medicare, do not provide any benefit for in home caregiving. They consider it custodial, not medical care. There are some Veteran Administration benefits that do cover some home care aide services, for example the VA Aide and Attendant Program. HMOs, Health Insurers, and Medicare provide coverage for “home health care”. Usually after a discharge from the hospital a medical home health care agency nurse, or physical therapist may come to the home to perform medical services, such as sterile wound care or physical therapy. A nurse assistant may even occasionally assist with bathing to maintain hygiene. These care professionals do not stay for an extended period; they arrive, provide hands on care, and leave. The rest is up to the patient, or family caregivers. Will my Long Term Care policy cover this service? Long Term Care policies provide coverage; however, each policy is different and may have requirements that need to be met before they will pay. We understand that sometimes the policies can be complicated, and the confusing terminology doesn’t help, that’s why we are happy to help you with this process. If you are considering applying for home care benefits, call us and we’ll be happy to review your policy over the phone or in your home, during a needs and preferences assessment. Always call your agent or the insurer for benefit clarification, and to begin the claim process as early as you can. 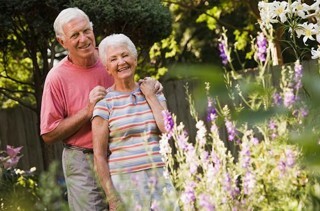 Please see our Long Term Care Insurance Page. Will Workers’ Compensation Insurance Cover Home Care? We provide home caregivers to many clients receiving workers’ compensation benefits. If non medical in home care, sometimes called custodial care or personal care, is authorized, we can provide a caregiver with the prior approval of the workers’ compensation insurer and may accept direct payment from the insurer. What is the difference between a “home health care agency” and “home care agency”? A home health care agency provides medical care through licensed medical providers such as: nurses, physical therapists, speech therapists, and occupational therapists on a temporary basis, usually to assist with recovery from a hospitalization at home. Home care agencies provide non-medical personnel, or caregivers, to help and assist with personal care, bathing, dressing, activities of daily living, appointments, medication reminders, companionship, meal preparation, driving, etc. on a temporary or ongoing basis. Home care agencies may employ the workers they provide, or refer independent workers. Those that refer workers are commonly called “registries”, and are known in California as “domestic referral agencies”. A Better Living Home Care Agency is a referral agency.